The webinar is hosted by Danielle Schwolow, Senior Growth Strategist at Multiplica, and our very own resident “Conversion Rate Optimization Scientist.” Danielle has over 10 years of experience Personalization, SEO, SEM, customer experience, email, and affiliate and loyalty marketing, and she specializes in creating innovative optimization strategies for ecommerce, travel, and entertainment websites that drive conversions and lead to overall business growth. Danielle is fluent in using analytics and complex data to produce meaningful, actionable insights for websites and optimize the user journey in today’s competitive digital space. Join us on February 14, 2019 at 12 p.m. EST as Danielle explains how to have better chemistry with your users, and how to use the latest in AI and personalization to get them to fall head over heels in love with your website! Have questions about the event or for Danielle? 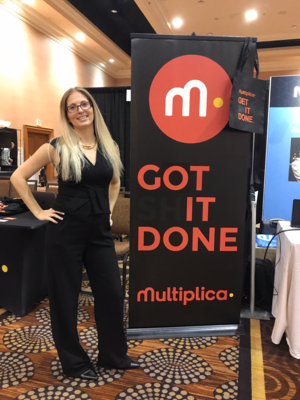 Email us at optimization@multiplica.us.